A few weeks ago Sedona Lace (SL) contacted me and asked if I wanted to try out their new Vortex Professional Brush Set and I enthusiastically accepted because I was drooling over them for a few months, but I've been on a forced brush buying hiatus. I chose the set with the zipper brush belt. For those of you who are unfamiliar with the Vortex set, it was developed with the help of beauty blogger/vlogger/MUA/MBA student MakeupByRenRen. AND we just happen to share a lot of the same brush preferences. 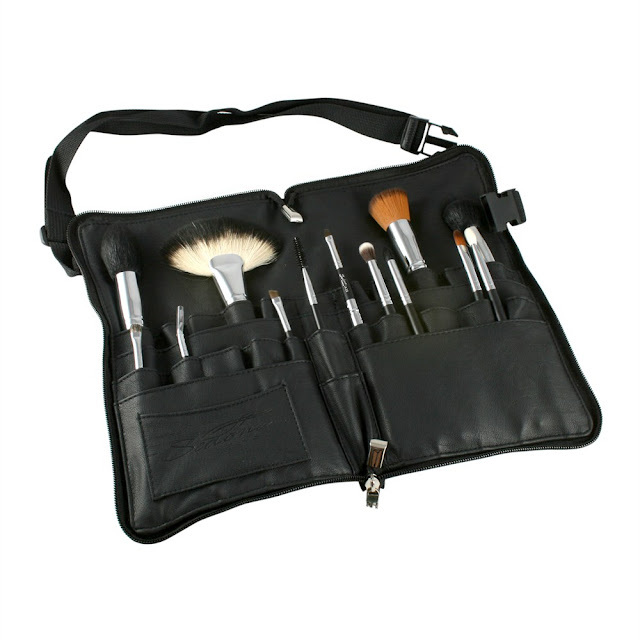 The brush set consists of 13 brushes and a brush belt for $79.95, which is a VERY good price. I used the brushes exclusively for 2 weeks straight (with the except of an angled contour brush). All the ferrules are double crimped and the handles have a nice weight/length to them.